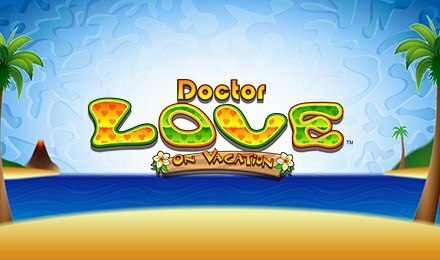 Doctor Love on Vacation has a 95.43% RTP, FREE Spins, and loads of multipliers. Login and play now – sun’s out and the wins are better than ever! Put on your swimsuit and get ready to win big in Doctor Love on Vacation Slots! It’s the sequel to Doctor Love, which means it’s just as fun and rewarding! The suntanned Doctor Love is the game’s Wild, helping you to complete winning lines, whilst his Surfboard is your Scatter – spin 3 or more to trigger your FREE Spins Bonus. During this bonus, your wins will be tripled and if the Doctor appears, you’ll get a 6x multiplier!